‘Celebrate Mother’s Day, celebrate womanhood!’ This is the motto mom’s preach for the big day. As a mother of a newborn child, the experience can be an exciting one full of learning while growing up with your baby. And if this is your first Mother’s Day, I say celebrate it like a proud Mumma! But amidst all the joy and jubilations, have a look at some of these important steps which are important for new mothers. Yes, there are certain ways you can mollify a wailing baby’s cries to rest. Soothe the little one tenderly by patting on his/her back in a rhythmic discipline as it does often help the baby to calm down gradually. There are other ways like swaddling with gentle rhythmic movements sideways that will ease him/her down eventually. Breast milk contains the essential nutrients for a baby. It is also easily digested by them. Babies need to be fed at regular intervals. Please see to it that your baby is latched on to you properly while breastfeeding. If there are anomalies that prevent proper latching, you can consult your paediatrician or seek advice from a lactation consultant who may guide you with the proper techniques. Nursing the baby on an average 10-12 times a day is safe, not too frequent nor too little. Diapering is one of the key necessities of baby care. When buying diapers especially online, buying is the ones as per the baby’s sizes are safer practices. The size, the weight, the absorbing abilities, the style, etc. should be considered as per your infant’s age and body type. Go for a different style. Suppose, your baby may not feel comfortable with cloth diapers or nappies so better to go for pull-ups or pant style diapers. Change the diapers immediately once it becomes dirty. This is one task which can earn you zillions of butterflies in your stomach. Make the ‘first bath’ your most memorable one. You will need a quirky baby bathtub with lukewarm water in it. The temperature of the water should be appropriate. Get some good quality baby shower gel and with extreme caressing steps wash and rinse with the gel. Wipe the baby’s entire anatomy with a warm moist towel. Wrap the infant with a hood till the time he dries off and Viola, you will be done with your first ever baby bath. As a mother, there is no need for an explanation as to how close you are to your beautiful creation but since parenting also requires the coordination and cooperation of the father, it’s an imperative factor to make sure your child gets ample time to spend with his/her Papa too. Of course, busy schedules and hectic workloads sometimes cause stress on both the parents but yes and you may know it too, your newborn is the most precious thing in the universe and needs the love and care from both the parents equally. 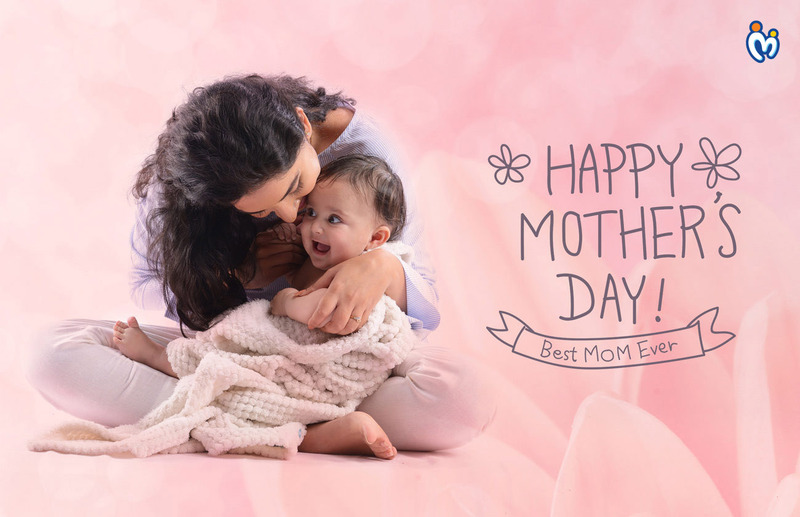 To conclude, Mother’s Day is a moment of pride, an elation and lots of learning especially for new mothers as it’s an event to connect with your angel and strengthen the mother-child bond. Coddle, pamper and ace the art of motherhood. Tell us did you like the points mentioned here as I wish you lots of greatness and love on this grand day.